Each Box contains Four Autographs, on average! Find the new Vanguard of the hobby with this stellar release! 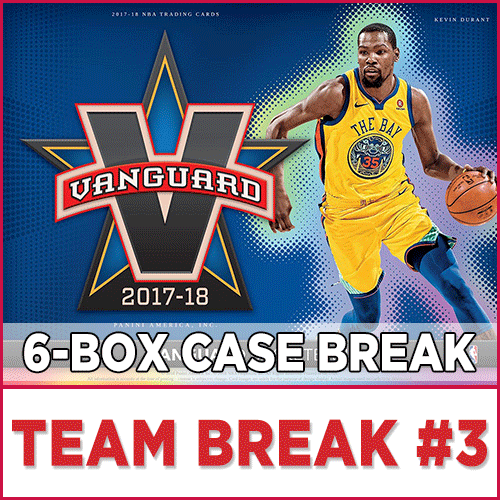 Look for four autographs per box and one stunning base or parallel per box, on average! 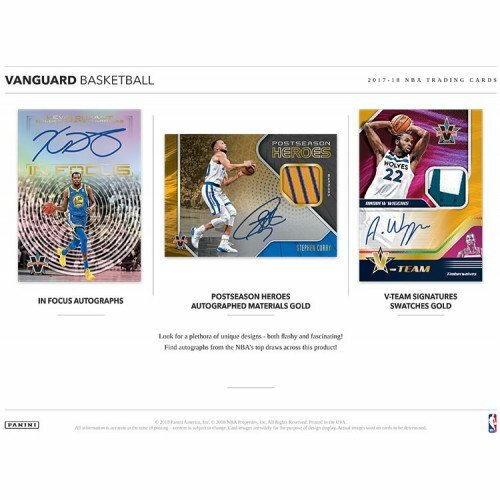 Vanguard delivers a plethora of on-card autographs, including the rookie-driven Hot off the Press Autographs, Rookie Signatures and Prime Prospects! Relive some of the top postseason performances in Postseason Heroes Autographed Materials! Reach for the stars with Cosmic Force Signatures which features a stunning celestial design! Find more phenomenal autograph inserts in Beyond the Arc Scripts, High Voltage Signatures and In Focus Autographs! 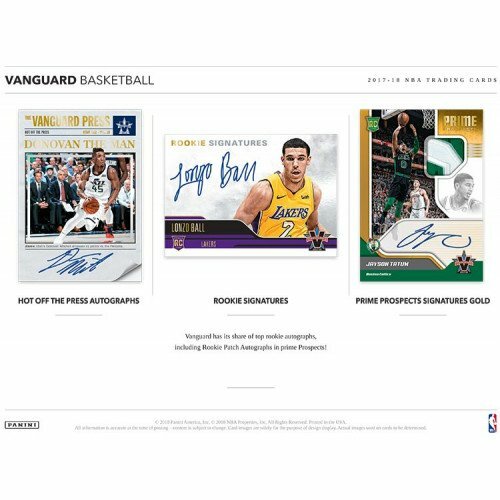 HOT OFF THE PRESS AUTOGRAPHS/ROOKIE SIGNATURES/PRIME PROSPECTS SIGNATURES GOLD: Vanguard has its share of top rookie autographs, including Rookie Patch Autographs in prime Prospects! IN FOCUS AUTOGRAPHS/POSTSEASON HEROES AUTOGRAPHED MATERIALS GOLD/V-TEAM SIGNATURES SWATCHES GOLD: Look for a plethora of unique designs - both flashy and fascinating! 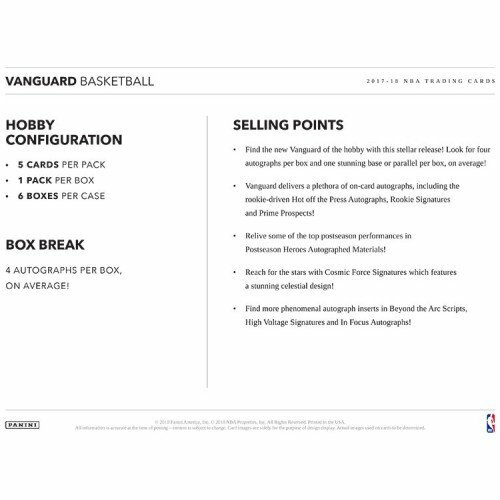 Find autographs from the NBA's top draws across this product! COSMIC FORCE SIGNATURES: It's arguable which has more stars - the NBA or the night's sky! Look for some of them in this out-of-this-world insert! HIGH VOLTAGE SIGNATURES: Prepare to be shocked at how fantastic this autograph insert looks! 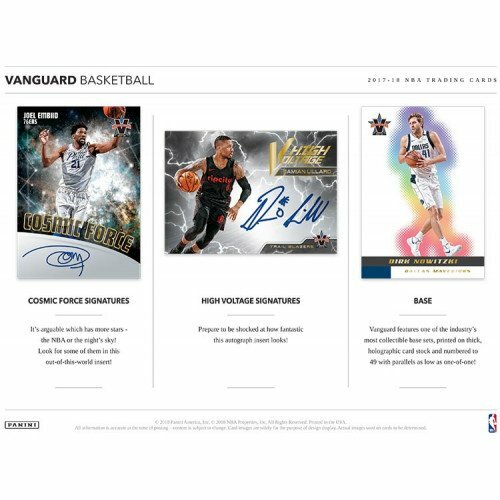 BASE: Vanguard features one of the industry's most collectible base sets, printed on thick, holographic card stock and numbered to 49 with parallels as low as one-of-one!